Jen Doll, author of Save the Date: The Occasional Mortifications of a Serial Wedding Guest, reveals what today’s traditions owe to evil spirits, dental hygiene, and Queen Victoria. 1. 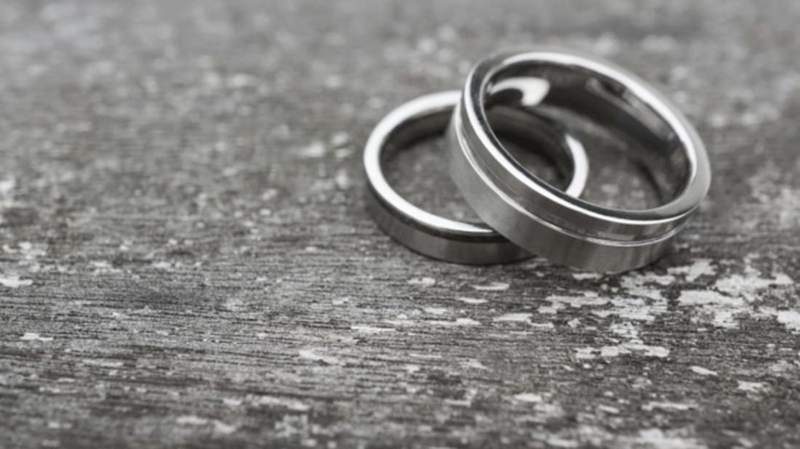 THE EGYPTIANS WERE PROBABLY THE FIRST TO EXCHANGE WEDDING RINGS. By medieval times, it was believed that a vein ran from the fourth finger of the left hand to the heart, so this became the trendy place to show off your rock. 2. BUT ENGAGEMENT RINGS DIDN’T TAKE OFF UNTIL THE MIDDLE AGES. In 1215, Pope Innocent III declared that there should be a longer waiting period between betrothal and marriage, spiking the ring’s popularity. 3. AND DIAMONDS CAME EVEN LATER. Though the first recorded exchange of a diamond engagement ring was in 1477, when Archduke Maximilian of Austria proposed to Mary of Burgundy, they weren’t the standard until 1947, when Frances Gerety, who never herself married, coined “A Diamond Is Forever” for De Beers. 4. WHITE WEDDING DRESSES WEREN’T DE RIGUEUR until Queen Victoria wore one to marry Albert of Saxe-Coburg in 1840. 5. IN ANCIENT TIMES, BRIDES CARRIED BUNCHES OF AROMATIC HERBS, like garlic, dill, and rosemary, to ward off evil spirits; this tradition continued into the 1800s. (Guests, it’s said, might also nibble on the herbs for fresh breath.) Queen Victoria, who carried a bouquet of snowdrops, also gets credit for starting the modern floral trend. 6. THROWING THE BOUQUET WASN’T ALWAYS ABOUT CALLING OUT SINGLE LADIES—it started because guests used to tear off pieces of the bride’s dress in an attempt to take some of her luck home. The tossed flowers were intended to distract the crowd so she could get away unscathed. 7. EARLY BRIDESMAIDS WERE DRESSED EXACTLY LIKE THE BRIDE TO CONFUSE EVIL SPIRITS, who might otherwise target the happy couple. It wasn’t until the trend-setting Victorian era that bridesmaids began wearing white dresses with short veils, setting them a bit apart from the bride. 8. THE HONEYMOON COMES FROM A NORSE TRADITION, wherein newlyweds would go into hiding for a month, drinking a cup of honey wine every day. 9. THE BRIDE STANDS TO THE GROOM’S LEFT AT THE ALTAR because in the old days of “marriage by capture” the groom needed his right hand free to fight off other suitors. 10. THE PHRASE “TYING THE KNOT” comes from an old Irish custom called handfasting, which involved tying the bride and groom’s hands together at the ceremony to symbolize their commitment. 11. DURING THE ROMAN EMPIRE, WEDDING CAKES WERE ACTUALLY BREAD, and they were broken over the head of the bride by the groom to symbolize fertility. Today’s tradition of smearing cake on each other’s faces is a little sweeter. This article originally appeared in mental_floss magazine. Subscribe today!